Discussions Magazine Music Blog: THE WHO, WHAT? Yeah... you heard it right. The Who's "My Generation" has become the new anthem for Pepsi's latest ad campaign "Every Generation Refreshes the World. It's Your Turn." Commercials ran during the Super Bowl and will for the rest of the year. 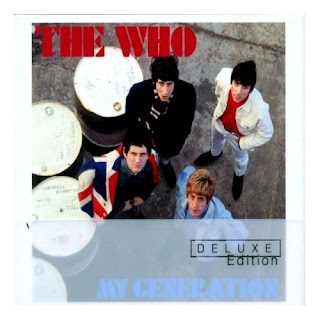 So if the commercials wet your appetite for more of The Who, go to your local INDIE RECORD SHOP and pick up your copy of "Who Sings My Generation". After all, it was their debut album in 1965; just one year after the band formed.